How to Start an E-Commerce Business in Dubai? With over half of the world’s population expected to be active internet users by the end of 2019 the internet economy is at its best. In the Middle East, more so the UAE, this internet effect is even more dominant. For instance, a survey conducted by MasterCard established that over 45% percent of consumers in the UAE used the internet for online shopping in 2016, a giant leap from 33% in 2015. And in 2017 and 2018 those numbers have been increasing steadily. Taking this into consideration, there has never been a better time to start an E-Commerce business in Dubai than now. And besides benefiting from an impressive internet and social media penetration, Dubai has established itself as the capital of E-Commerce in UAE and GCC. With this new development, comes a golden opportunity for entrepreneurs who are daring enough to invest in the emerging E-Commerce. However, the big question is, how do you start an E-Commerce business in Dubai to reap the benefits that come with it? Well… this is how! For any investor, nothing is as important as identifying your industry/niche and getting into it wholeheartedly. Therefore, do some research and identify a product that will easily attract shoppers. If you don’t have a unique product in mind, you can choose an existing one, devise an engaging and consistent marketing strategy and then sell it in a unique way that will differentiate your brand from the rest. Otherwise, you might end up investing a lot of money and effort, only for your business to get into a nose just because your product is not in need, oversupplied or presented in the incorrect way. After identifying your industry or product, it will be necessary to access the dynamics of what you want to sell and also the market needs. After evaluating these aspects, identify the pros and cons of being in that industry, product viability, and market demand. After establishing whether the undertaking is feasible enough to invest in, you will have to find a source for your product and also the paradigms of your sales and shipping. Is it going to be a retail or wholesale concept? After identifying a product, go ahead and get your business licensed. Business licenses are granted by the Dubai Department of Economic Development. And this largely depends on the nature of your business and its location. When it comes to location, your business can either be located on the mainland or the free zone. The location you settle on also influences the type of license you should apply for. If you settle on setting your company on the free zone in Dubai, the license is easy to obtain since it will be issued by the relevant authority governing the free zone. We can certainly introduce you to our business license set up partner if you wish individual guidance. After being licensed to conduct business in Dubai, the next step will be renting a physical office space for your business, if you require it for your type and license nature of your business. Note that a physical address is a requirement by law to be recognized as a legal operating in Dubai. Since you are setting up an online business, a website is a must-have. When designing and building one, make sure that it imbues the cultural and linguistic aspects of Dubai. You can either do the website setup yourself along a Shopify Theme, or you approach an expert agency on Shopify, like ours, to help you design and develop your website, it is important to be localized in UI/UX as well as your domain. Therefore, find a local and conspicuous domain and register it locally in Dubai. This domain will be used as your online store’s URL/web address. In other words, it will be the face of your brand. By so doing, it will be easier for online shoppers to identify with it. Web payment gateways will be an important aspect of your site. For this reason, integrate reliable, compatible, and secure payment methods so that shoppers can feel secure when making online payments. 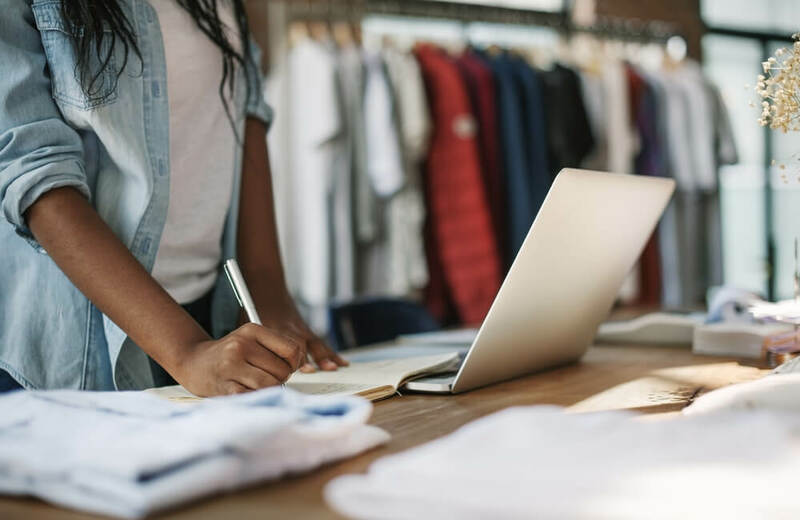 Setting up an online store for your business is not enough to realize success, you have just begun and now the actual work on your brand and business begins. You will want to generate site visitors and leads into buying customers. To achieve this, convert your site into a functional and fully fledged online store to start generating revenue. This can be achieved by devising and implementing marketing strategies to raise brand awareness and work with likeminded complementing businesses or industries within Dubai. You will need to devise a marketing and promotional strategy to drive your goals and focus according to your audience. This will come in handy in various ways such as e.g. boosting sales, raising brand awareness, and targeting segmented audiences for specific product promotion.